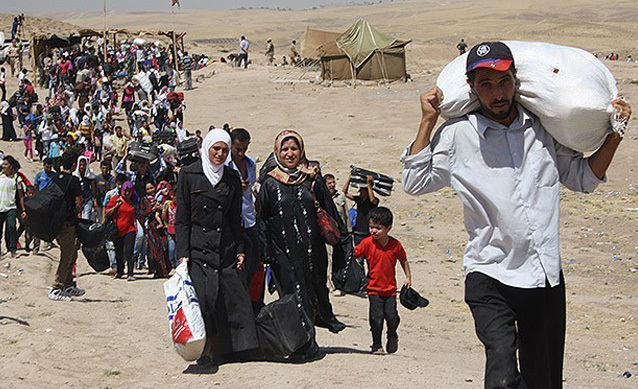 Home » »Unlabelled » Syrian Refugees, ISIS, and Why Our Response Might Be Wrong. Syrian Refugees, ISIS, and Why Our Response Might Be Wrong. He did not want to do that...he HATED the people of Nineveh...they were wicked evil terrorists who did horrible things. He did not want God to have mercy on them...he wanted God to wipe them out. We as American's don't like Islam...they are wicked, evil terrorist who do horrible things. We want vengeance. We want God to wipe them off the map. Wait... look at what happeneed when Jonah went and preached repentance to the folks in Nineveh. A revival broke out. You'd think that Jonah would be a happy man...well you'd think that. He was mad!!!!! He did not want God to show those nasty terrorists mercy! Does this sound familiar? You see we want justice for everyone elses sin but for our sin we want mercy. You see here is the beautiful thing about Jesus, He is a gracious God and merciful, slow to anger and abounding in steadfast love, and relenting from disaster. That includes terrorists. We need to make it our priority to preach the Gospel to them. 36 Others suffered mocking and flogging, and even chains and imprisonment. 37 They were stoned, they were sawn in two,[a] they were killed with the sword. They went about in skins of sheep and goats, destitute, afflicted, mistreated— 38 of whom the world was not worthy—wandering about in deserts and mountains, and in dens and caves of the earth. So yes we might get killed....but things just might turn out different. 32 And what more shall I say? For time would fail me to tell of Gideon, Barak, Samson, Jephthah, of David and Samuel and the prophets— 33 who through faith conquered kingdoms, enforced justice, obtained promises, stopped the mouths of lions, 34 quenched the power of fire, escaped the edge of the sword, were made strong out of weakness, became mighty in war, put foreign armies to flight. 35 Women received back their dead by resurrection. I think that if we as Christians were pro-active and unafraid in our approach to sharing Jesus with ALL people we just might see revival rather than terror. Instead of worrying about the Syrians being terrorists we need to look at this as the MISSION FIELD is coming to us! So as a result we need to be on mission and start sharing. Start talking, start being a missionary where you are!!! Doing this just might change the world.